There have been a couple of bumps and we’ve learned a lot, but we’re really proud of our Little Man and his hard work. What if he has an accident in his car seat? What if we’re out somewhere and he needs to go, but there’s no bathroom? What if there is a bathroom, but he doesn’t want to get on one of those huge toilets? What if there is a bathroom, but it’s nasty and I don’t want him to get on it? In the midst of my confusion at church one Sunday, a woman named Anna Marie providentially nursed her sweet baby at the same time that I nursed mine in the Mother’s Lounge. 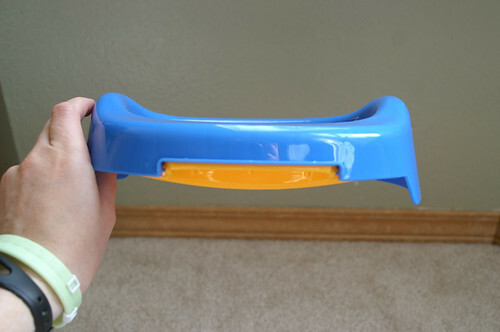 And with a captive, experienced mother on my hands, the Potty Training floodgates opened wide and I was thrilled when she answered all the questions just the way I needed her to. 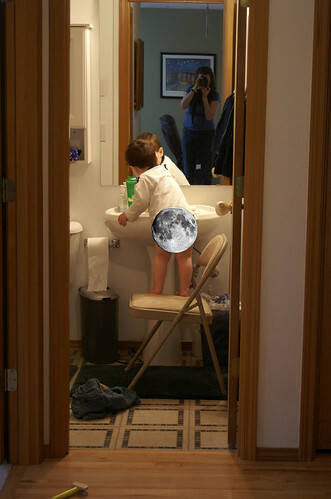 By the time we finished our conversation, I left the Mother’s Lounge relieved, empowered and eager to visit Babies R Us and Walmart the very next day to create….. 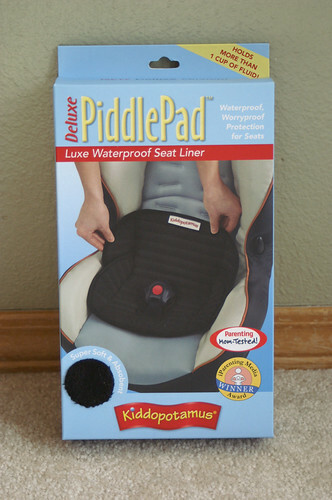 This baby has everything you need to create a clean, toddler friendly toilet in the front seat of your car. 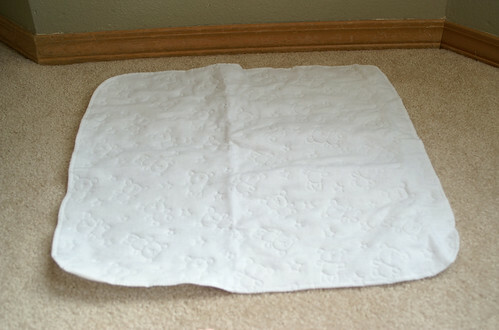 First: Lay down a multi-use lap pad to absorb any “spillage”. 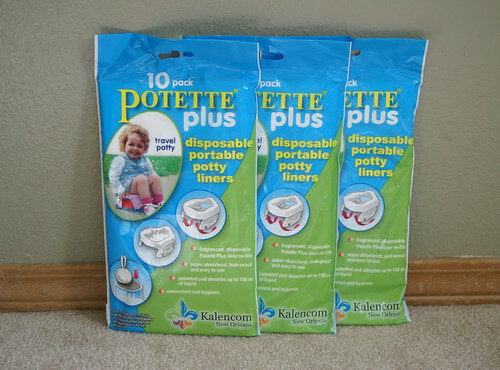 Second: Pull out the “Pottete Plus”. (Oh yeah, baby. Check it out). 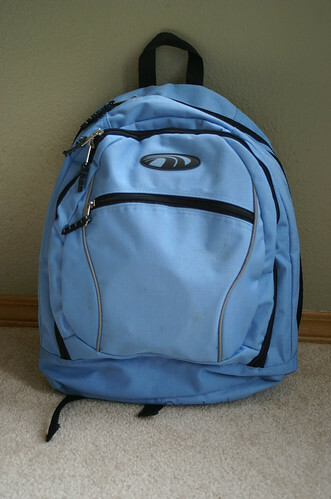 (It’s small enough to fit in a diaper bag). 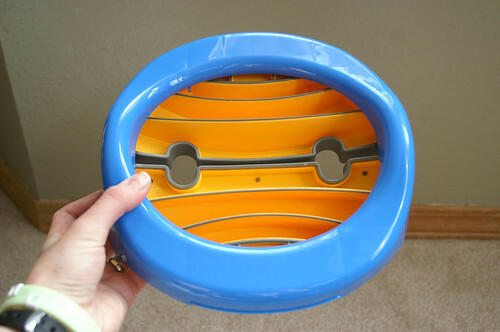 (And its got legs that fold down for being its own toilet). (Or out for being placed on a real toilet). 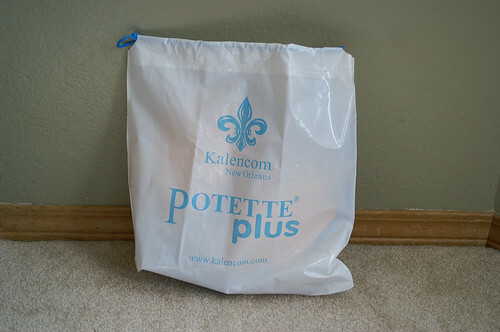 Third: Take out a Pottete potty liner bag (or you can use a grocery bag). 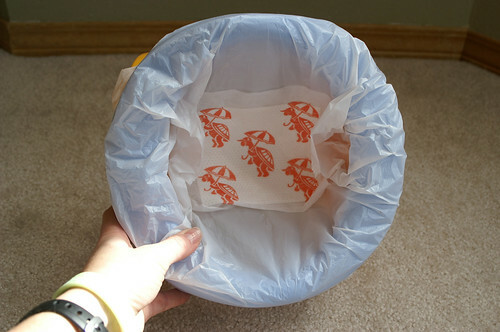 Fourth: Insert the bag into the Pottete and admire the wonderfully absorbent turtles. 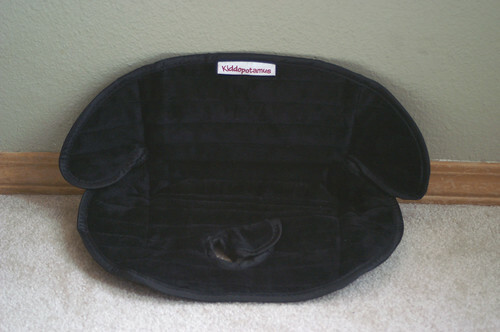 Fifth: Place lined Pottete on top of pad and voila!! 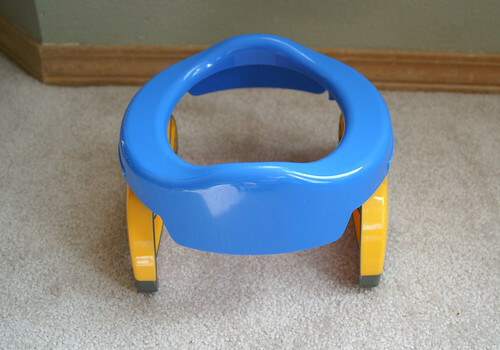 A sanitary, toddler-sized toilet away from home! 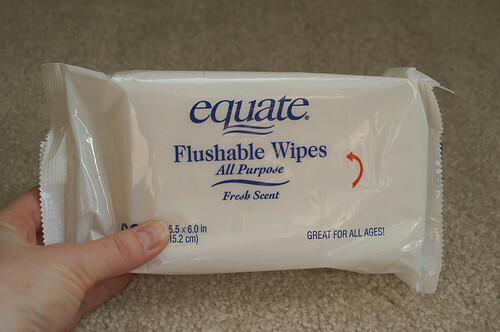 Our potty bag also includes a package of flushable wipes. 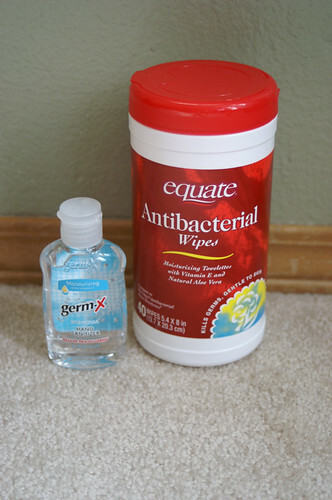 As well as portable cleansing agents for washing hands (and Lysol wipes I always have in the car for cleaning surfaces). 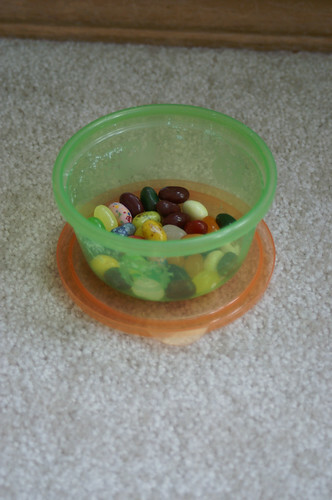 Follow that up with a tasty reward and I’d call that one successful potty trainer and one satisfied mother! Thank you so much for all your help, Anna Marie! I can’t tell you how much I love my new supplies! They are a life saver and you are wonderful! Wow, you are equipped for anything. Congratulations on the success. I’m so glad everything is working so well! You have totally inspired me to organize everything better and put it in a bag. You saw how it was all just thrown around in my trunk! Awesome! I will be buying all these items soon! 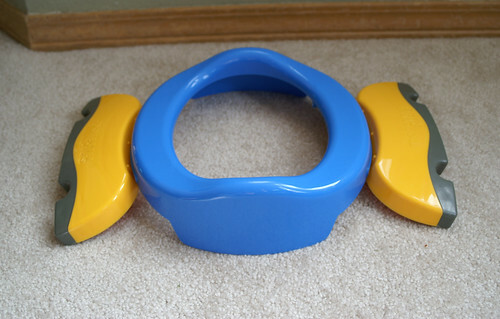 I actually saw that particular toliet on a website today and thought whoever came up with it was a genius! 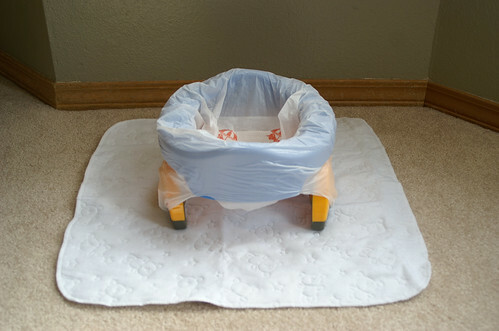 I am so happy Bubbers is doing well and thankful I will have you to give me ideas when it is time to potty train Jack! Great job! Kuddos to both of you for all the hard work! Have to have at least one princess!! Anyways, GREAT JOB!! We finally bought some boy underwear this week! Elora was so easy, I’m not sure how to go about it with Josh though. He’s not doing too bad so far! Thats a crazy amount of stuff to cary around, but maybe its worth it! You are so well prepared and well done to Bubbers what a great achievment for him.